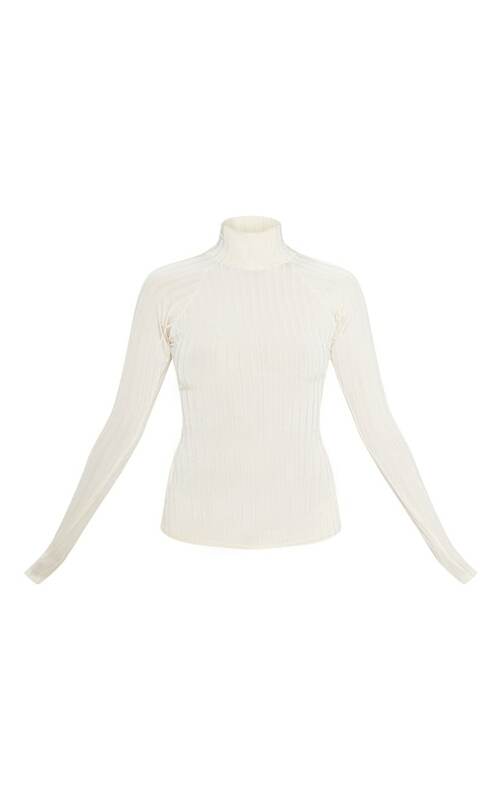 High neck tops are essential for layering up your look. This top features a champagne slinky ribbed material with a high neckline and long sleeves. This versatile style can be styled with anything and dressed up or down.